I’ve been blogging recently about gut health, and emphasizing that an impaired gut often leads to systemic diseases (“Disease Begins in the Mucus,” June 23, 2015). If SIBO is a precursor to systemic diseases, then any intervention that clears germs from the small intestine should help prevent disease. But how large are the benefits of including spices on food? Evidence toward an answer comes from a new study out of China  using the China Kadoorie Biobank database. 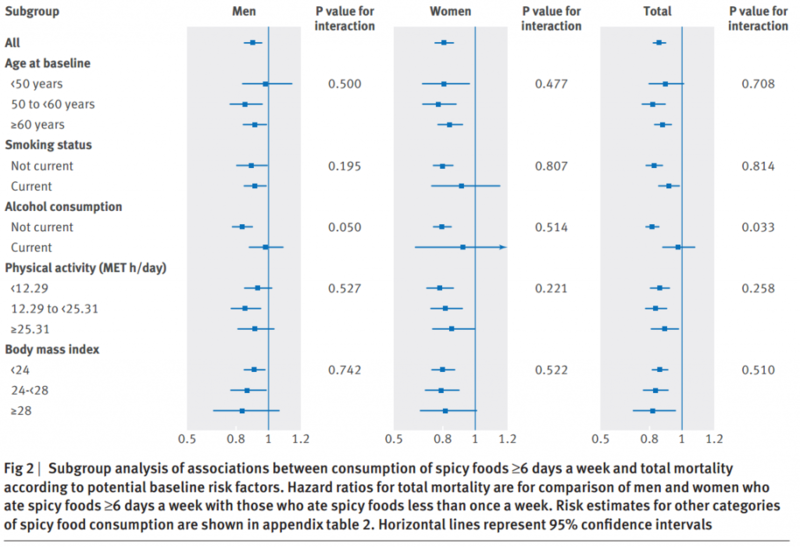 The study asked 487,000 people at baseline, “During the past month, about how often did you eat hot spicy foods?” Then it tracked their health outcomes for 7 years and analyzed death rates as a function of the number of spicy meals consumed per week. In this case, “hot spicy foods” means meals with chili peppers or chili oil. Diabetes is probably often caused by small intestinal infections that spread to the pancreas. Respiratory pathogens infect the mouth and throat, where food spices can kill them; also, they are frequently swallowed, after which they can infect the gut as well. Systemic diseases often enter the body through the gut, so anything that clears pathogens from the gut will reduce infectious disease. Heart disease is also known to have a major infectious component. The interesting thing here is that alcohol consumption eliminates the benefits of chili pepper consumption. Alcohol intake is a known cause of SIBO , and possibly the alcohol is removing the beneficial effects of the chili peppers. Another interesting finding was that fresh chili pepper seemed to be more protective than dried chili pepper or chili oil. Probably there are more bioactive and antimicrobial compounds in the fresh peppers. The study authors note that capsaicin in chili peppers has complex biological effects. So it’s possible that not all the benefits of chili peppers were due to antimicrobial action in the small intestine. Now, it happens that TRPV1 knockout mice live 14% longer than wild type mice . If capsaicin could kill off the TRPV1-positive neurons, then maybe the effect on longevity would be the same as in the knockout mice, who have the neurons but not TRPV1. Entertaining as this idea is, it would require massive chili pepper consumption. Rats lost neurons after intraperiotoneal injection of 125 mg capsaicin per kg body weight, equivalent to 10 g in humans . Since pure capsaicin has a rating of 16,000,000 on the Scoville scale, ten times hotter than the hottest known pepper, this would be like taking 100 grams of the Carolina Reaper, 600 grams per day of habanero chilis, 6000 grams of serrano peppers, or 60,000 grams of jalapeño peppers. I don’t know about you but I would rather not eat a hundred pounds of jalapeño peppers, at least not at one sitting. More fundamentally, the neurons of the gut are crucial for digestion, gut motility, and tissue healing. Losing those neurons would itself be a potential cause of SIBO and all the diseases against which chili peppers are protective. Killing off neurons seems an unlikely path to health; nor is it likely a good thing to make your soup so spicy that it burns a hole in your stomach, as happened to one Chinese man. The best course, it appears, is to eat chili peppers, but in moderation. Nearly all the benefits are obtained with a couple of hot and spicy meals per week. 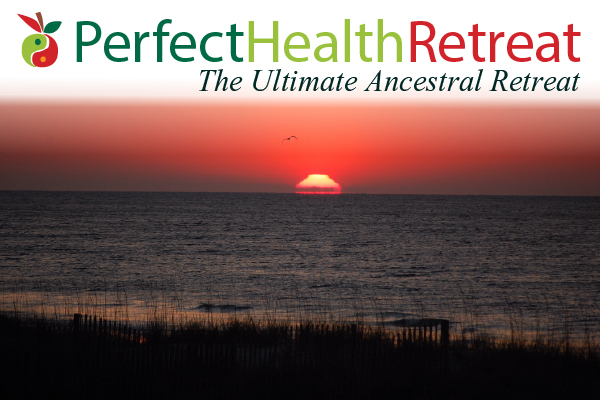 The October Perfect Health Retreat, taking place October 10-17, still has spots remaining. 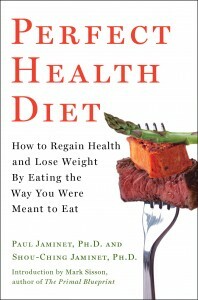 If you’d like to learn PHD home cooking from Shou-Ching, the science of good health from me, and a course in movement and relaxation from our star trainers Court Wing and Jae Chung, plus health coaching from me, while enjoying a delightful time on a magnificent beach and luxury property with hot tubs and pools, come to the retreat! For more information, see our web pages or write me at paul@perfecthealthretreat.com. Dukowicz AC, Lacy BE, Levine GM. Small intestinal bacterial overgrowth: a comprehensive review. Gastroenterol Hepatol (N Y). 2007 Feb;3(2):112-22. http://pmid.us/21960820/. Lv J et al. Consumption of spicy foods and total and cause specific mortality: population based cohort study. BMJ 2015;351:h3942. Full text: http://www.bmj.com/content/bmj/351/bmj.h3942.full.pdf. Sherman PW, Billing J. Darwinian Gastronomy: Why We Use Spices. BioScience 49(6) June 1999: 453-463. http://www.nbb.cornell.edu/neurobio/BioNB427/READINGS/ShermanBilling1999.pdf. Khan FA, Mahmood T, Ali M, Saeed A, Maalik A. Pharmacological importance of an ethnobotanical plant: Capsicum annuum L. Nat Prod Res. 2014;28(16):1267-74. http://pmid.us/24650229. Czaja K, Burns GA, Ritter RC. Capsaicin-induced neuronal death and proliferation of the primary sensory neurons located in the nodose ganglia of adult rats. Neuroscience. 2008 Jun 23;154(2):621-30. http://pmid.us/18456414. Riera CE et al. TRPV1 pain receptors regulate longevity and metabolism by neuropeptide signaling. Cell. 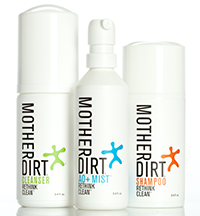 2014 May 22;157(5):1023-36. http://pmid.us/24855942. Gallaher ZR, Johnston ST, Czaja K. Neural proliferation in the dorsal root ganglia of the adult rat following capsaicin-induced neuronal death. J Comp Neurol. 2014 Oct 1;522(14):3295-307. http://pmid.us/24700150.